2007 – nearly 10 years after David’s diagnosis, he found himself struggling to pop out 80 tablets from their sealed packets in order to put them into pill dispensers for the following week. Angry at this sign of his independence being lost, the idea for Medi-Popper was born. 2007 – enlisting the help of his friend, David worked to create a prototype of the medi-popper. He realised immediately that this was a product with the potential to help many people, whether they suffered from Parkinson’s, arthritis or many of the other hand and joint problems that afflict people around the UK. 2007 – with grants from the East Midlands Development Association, David enlisted the help of the Faculty of Design in Lincoln University through Innovation Lincolnshire. This resulted in a plastic version of the Medi-Popper, which was further developed at Leicester University. 2011 – a chance meeting with Andrew Donovan, an expert in plastics manufacturing, who had recently set up his own business, lead to the Medi-Popper in its current incarnation. 2012 – Medi-Popper is launched! Anyone can have a great idea for a product, but only a sufferer can understand the real difference a product like Medi-Popper can make. David Anderson invented the Medi-Popper to maintain his own independence, but was immediately able to see that this is a product that could help millions of people. David’s career reads like the CV of someone with a particularly exciting life. Having been commissioned into the British Army, he served in the Intelligence Corps, with a particular interest in Russia. Retiring from the Army, he began a role in the Ministry of Defence as Arms Control Inspector and Interpreter, monitoring the reduction of arms and equipment in NATO’s European bases and those of the former Warsaw Pact countries. He retired after over forty years in service and chose to move to Lincolnshire. 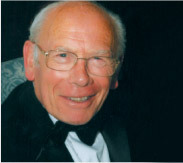 David was disagnosed with Parkinson’s disease in 1998, shortly after his retirement. He has not let this hold him back however and he continues to lead a very active life, having a wide range of interests from poetry to golf!